The Li-Fraumeni Syndrome Association (LFSA) supports families and individuals with LFS in ways that touch lives and inspire change.We continue to raise awareness in the community, advance medical and scientific research, and unite patients and professionals who share this same goal. 2016 was our most successful year yet, making a significant impact and reaching several new milestones. 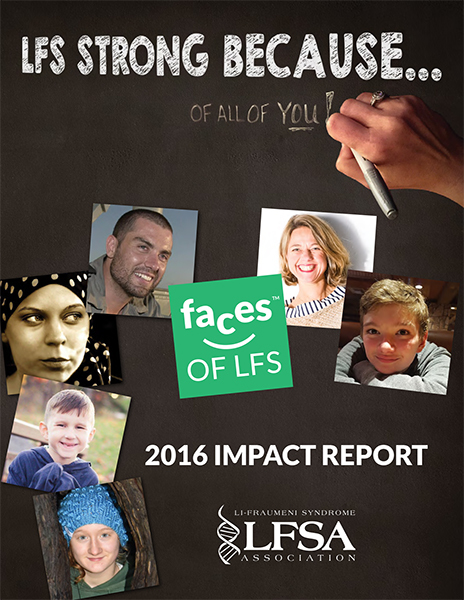 This past year offered unprecedented opportunities for the LFS Association to serve our extended LFS family, as highlighted here in our third annual Impact Report! In 2016, we were able to help organize the highly successful LFS conference wherein leading researchers, providers, genetic counselors, patients and their families from over all over the world came together to share data, expand networks, and develop treasured friendships. For you, and because of you, we have been able to provide travel scholarships and continue to significantly support major LFS research projects and centers. We have supported numerous children’s initiatives, including full body MRI screenings and summer camp sponsorships for children and families! In early 2017, we will launch LFSA international branches in Brazil, Canada and New Zealand! In 2017, we will remain committed to support research and families with additional projects and educational opportunities. 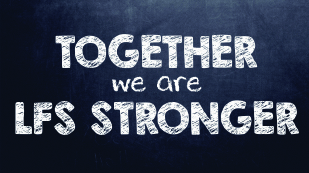 Through our Faces of LFS campaign, we hope to continue to identify the issues and needs of our LFS community, and of those who support our community, in order to better serve you. We are very proud of these accomplishments – and they are all because of you! 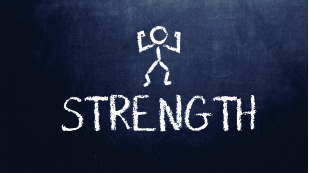 You are the faces of LFS, and together, we really are LFS Stronger! Thank you for your continued and unwavering support!!! Advancing the science and understanding of LFS is at the heart of our LFSA mission. Since our founding, LFSA has supported hundreds of thousands of dollars in LFS research and development. These efforts have been undertaken by the LiFE Consortium – a group of oncogeneticists, clinicians, researchers, psychologists and genetic counselors, united on a mission to better understand LFS and to provide new cancer prediction tools and therapies to support LFS patients. Currently under development, the family history tool will serve as an effective way to collect and interpret familial cancer data. This project will electronically compile cancer family history and recommendations will be given to the individual about the need to seek clinical care. The goal is to have accurate data available to medical providers and to offer genetic testing and early cancer screening as needed. New technology is now available to detect ctDNA in the plasma portion of blood from patients with cancer. This is currently being used to identify early relapse in patients with known cancer, particularly in patients with high risk for cancer like those with LFS. The objective of the planned study is to test the feasibility of obtaining blood samples from patients with LFS to assess the efficacy and validity of screening patients for cancer via analysis of ctDNA. The University of Utah Research Lab made the discovery that elephant cancer resistance is potentially due to amplification of TP53 found in the elephant genome. These extra copies of TP53 convey increased sensitivity to DNA damage in elephant cells with preferential apoptosis. This lab is now working with colleagues in the Technion-Israel Institute of Technology to develop a novel prevention, based on our new understanding of TP53 in the elephant genome. This initiative focuses on better understanding the epidemiology of LFS, in the era of extensive genetic testing. 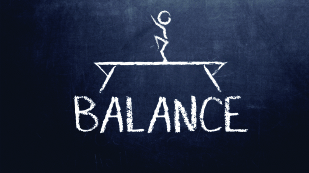 It will create additional clarity for families relative to testing outcomes. Using data from LFS families who may have had a TP53 test result initially considered germline, individuals may learn that they, in fact, do not have LFS. Family members can be spared from the unnecessary worry of an LFS diagnosis as a result of our improved understanding of this syndrome. We were thrilled to present the 3rd Annual LFSA Conference in collaboration with Nationwide Children’s Hospital in Columbus, Ohio, from June 1st – 3rd. The conference drew more than 200 researchers, scientists, medical providers, and LFS families from around the globe. Keynote addresses were provided by Dr. Louise Strong, MD Anderson Cancer Center (Our evolving perspective of the LFS phenotype; 1969-2016), and Amanda Garbatini (An LFS Patient’s Story). For three days, medical professionals and LFS families exchanged information, insights and the latest scientific and therapeutic advancements in LFS treatment. We were proud to offer more than a dozen patient travel scholarships from California to Brazil, ensuring that LFS families were able to participate in the unique exchange between the LFS medical and patient communities. The success of the conference, once again, demonstrates we are LFS Strong together! The services we provide for the LFS community are possible because of the wonderful support from our partners. A $15,000 grant from the Joy in Childhood Foundation provided both tremendous life experiences for LFS families and potentially life-saving cancer screenings for children who would otherwise not have received them due to financial burdens. Specifically, we provided scholarships for children with cancer and their families to attend Paul Newman’s “Hole in the Wall Gang Camp,” as well as sponsorships for children to attend Special Love’s “Camp Fantastic.” Additionally, we funded whole body MRI preventative cancer screening for seventeen children with LFS. We share a big “Thank you” to the Foundation for its outstanding support to our community! On September 30th, Myriad Genetics hosted its 3rd Annual Patient Advocacy Fundraiser in Seattle, as a part of the 2016 National Society of Genetic Counselors Conference. LFSA was a proud beneficiary of Myriad’s $25 donation for each of the more than 600 attendees. This resulted in a more than $15,000 donation to LFSA. This money will be used for LFS patient support, as well as LFS education and awareness initiatives. We would like to express our heartfelt gratitude for Myriad’s ongoing generosity relative to our patient advocacy efforts! LFSA friends and families gathered on October 22nd, at ON22 in Hartford, Connecticut, for our 2nd Annual Salute! 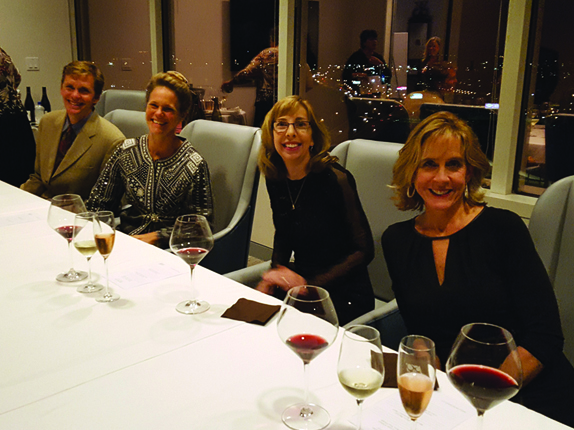 benefit, an elegant evening of wine tasting, cuisine and music. Proceeds from this celebration directly benefit the LFS community by funding education and research. We would like to express our sincere appreciation to all of our attendees and sponsors, as well as to Cary Gagnon, our Salute! Event Chairperson. This collective support and advocacy dramatically increased awareness and funding of LFS in the New England area. 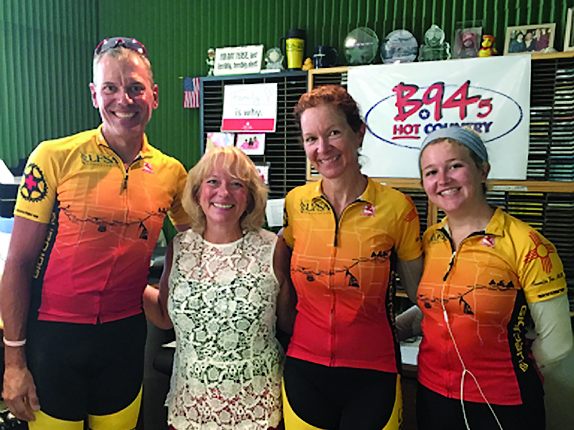 Lauren, Chandler and Kirk Rhinehart toured cross-country in a six-week bicycle ride from New Mexico to New York to raise money for LFSA. The trio started their journey on July 5th in Santa Fe and finished on August 18th in New York City. Despite blistering heat, the team powered through to complete this epic ride. Lauren, Chandler and Kirk rode in honor of Ashleigh Rhinehart and raised thousands of dollars for LFSA! We thank you for your impressive physical feat of endurance and efforts to raise awareness of LFS. On July 16th, Kathleen and Jaime Higgins once again staged “Mo Songs for Kerry,” a celebration of life and love of their two daughters. 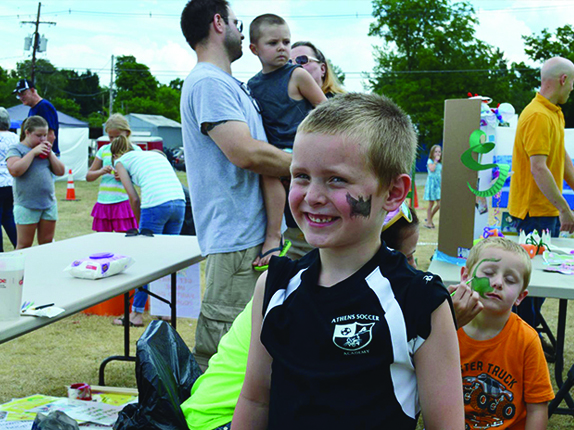 This lively event with music, games and food, raised $3,000 to support LFS and cancer research. We are very grateful to Kathy and Jaime for their ongoing support of LFSA and of their education and awareness efforts. 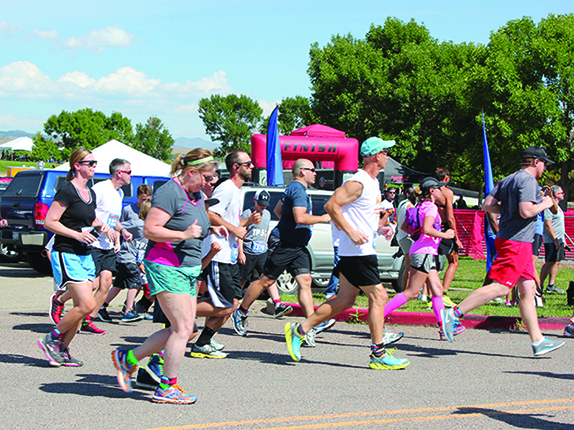 For the second year in a row, Noelle Johnson and her team raced the Boulder Sunset Triathlon. On August 27th, Noelle and Greg Johnson, Heather Henstock and Erin Livingstone participated in the triathlon and in support of LFSA. Geoff Livingstone raced in the 5K run with seven boys – his sons Lucas, Sam and Micah, and the Johnson brothers, Elijah, Sam, Isaiah and Simon! This tremendous team effort contributed over $1,000 with more to come. All of these funds will directly improve the lives of those with LFS.